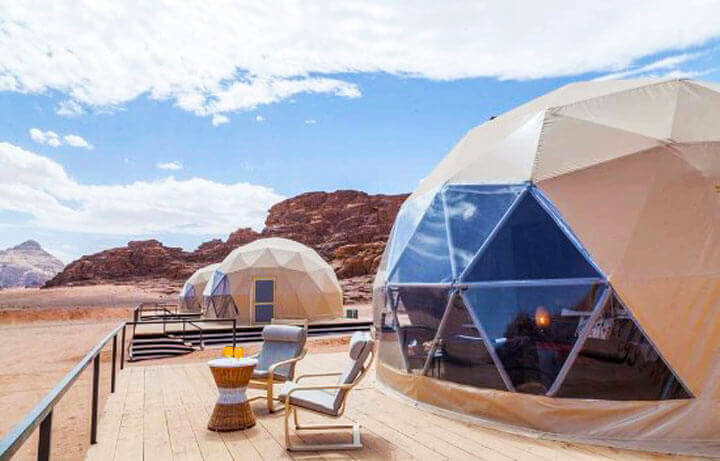 Discover a tiny kingdom full of big surprises as you explore Petra, weaving your way through its narrow canyons and colourful sandstone, and dine on authentic Bedouin cuisine cooked under the sands of Wadi Rum. Whether you’re floating 1,350 feet below sea level in the Dead Sea or following in Moses’ footsteps up sacred Mount Nebo, in Jordan, every moment becomes a fond memory. Meet with your driver upon arrival at Queen Alia airport in Amman before we settle into our hotel on the shores of the Dead Sea. Enjoy welcome cocktails and a great dinner to kick off the adventures to come! 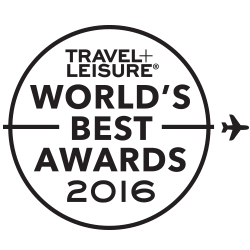 We'll feast our eyes on Byzantine mosaics in Madaba and lunch at the famous Haret Jdoudna restaurant. Then, we'll follow the footsteps of Moses and venture up Mount Nebo in search of the Promised Land. Following the King’s Highway, we'll head to Wadi Dana. We'll stop for a traditional lunch, then continue to the Dana Biosphere Reserve for a hike and a lesson on the traditions of the local tribe. 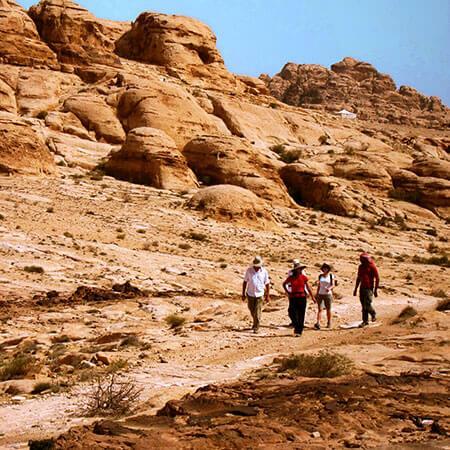 We'll trek along the mystifying Wadi Ghweir, a sacred path that was once the hidden trail to Petra. We'll enjoy a Bedouin-style picnic along the way, complete with sweet tea and freshly baked bread. We'll pass through the gates of Petra and wind our way through the Siq to the Al-Khazna. Diving deeper into the canyon, we'll discover other gems such as the Amphitheatre and Royal Tombs. We'll journey through the narrow pathways of ancient Petra in search of the magnificent Al-Deir monastery, before hiking through the Sharah Mountains to catch stunning views of the Rift Valley below. Experience the true meaning of 'Arabian Nights' as we camp in the desert of Wadi Rum. 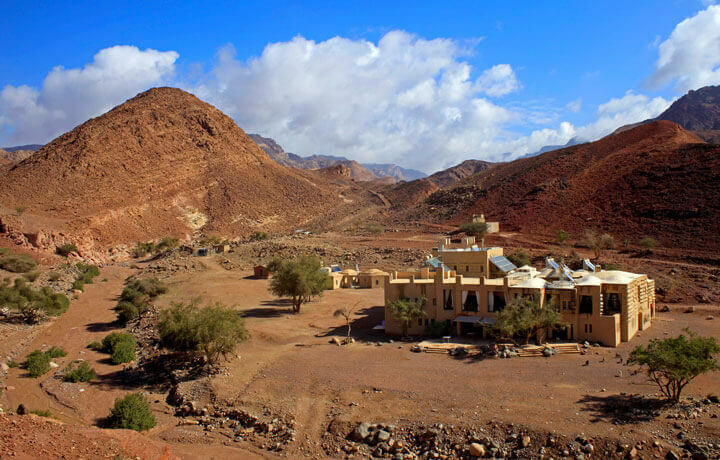 We'll motor past the red dunes and granite with a local Bedouin before feasting on a classic zerb dinner. After breakfast, we’ll head to the Amman airport for your onward travels. You may choose to extend your stay for a day or two in the coastal town of Aqaba to enjoy the cosmopolitan atmosphere. Dive deep into the legends of Petra. 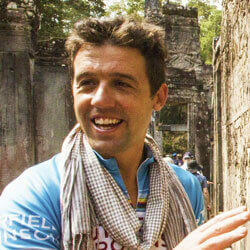 My guide was exceptional as well as the driver. They went out of their way to take me places and introduce me to locals, where I was surprised with tea and a horseback ride! The country is gorgeous and the people, amazing; it is my favorite country so far. I felt safe and happy there. The hikes on this trip range between 10 to 15 km (6 to 9 mi.). The hikes are on trails, but with rugged and rocky terrain. Appropriate footwear, such as hiking boots/shoes with good soles are a must! 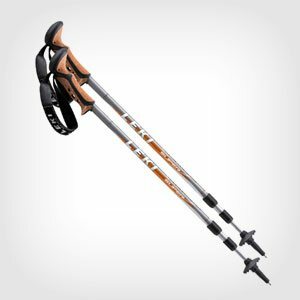 We will have hiking sticks to loan you should you desire. Your trip ends with a 4-hour morning transfer from Wadi Rum to the Amman Airport. There are a couple logical ways to continue. 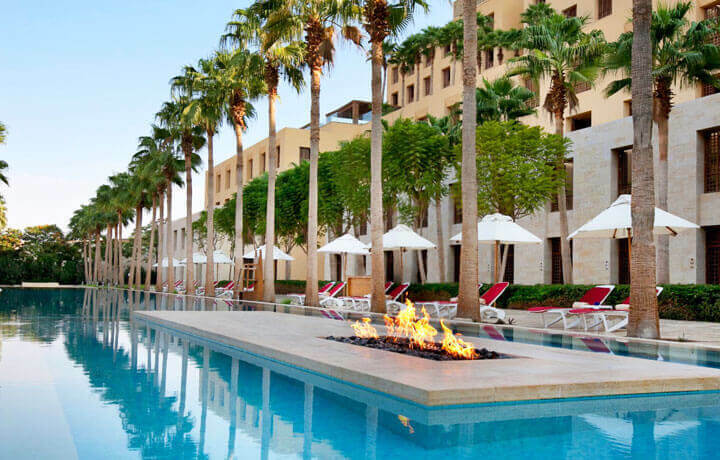 You could hang back and spend a couple days relaxing on the beach and snorkeling in the nearby Aqaba (the Kempinski there is fabulous). 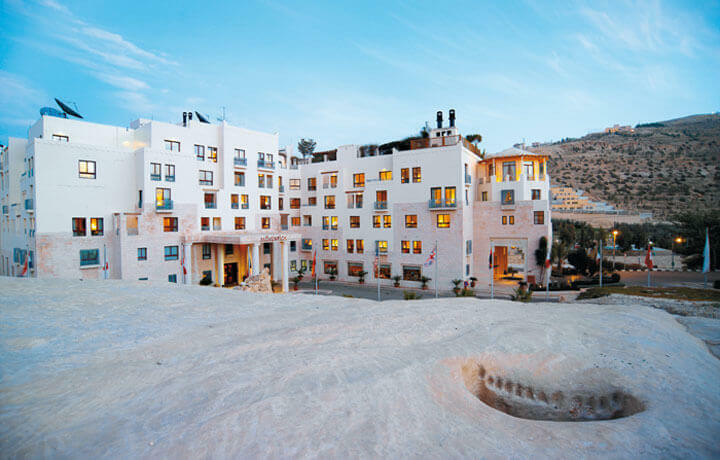 You could spend a night or two in Amman, the capital of Jordan—we recommend the Four Seasons. You could also easily cross the border to Israel and visit the sights—we can’t recommend getting lost in the streets of Old Jerusalem enough!